Are you in need of an affordable way to have an attorney by your side to ensure that your business is legally sound? Our Orlando business attorney from the Law Office of Frederic E. Waczewski, P.A. has been aiding business owners since 2006 and has extensive experience in this area of law. From aiding property management companies, supermarket chains, restaurant owners, car dealerships, to martial arts academies and more, Frederic and his team have successfully helped many companies keep their reputation intact and move forward with their business ventures. A business attorney is needed not only for things that are problematic (issues with employees, customers, or being sued), but also handling proactive matters relating to employment, human resources, revising operating agreements and other contracts, intellectual property, and much more. A monthly plan is ideal for a business as it reduces the overall expense of having an attorney and encourages the business owner and lawyer to constantly work together to ensure that all legal needs of the business are being met. 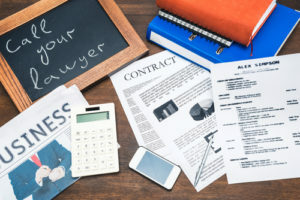 Rather than hiring an attorney for each item separately as needed, a monthly business package will offer a lower price overall and help to prevent any potential issues from formulating ahead of time. It also promotes more consistent and open communication among the lawyer and business owner. What Services Do The Monthly Business Packages Include? We look forward to working with you to ensure that your business runs smoothly and that your assets are well protected in accordance with the law. Call us today to schedule your free initial consultation.